These homemade ghost marshmallows are sure to delight all the boys and ghouls this Halloween! 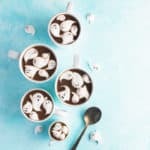 Whether you’re enjoying hot cocoa, a spooky s’more or just looking to learn some marshmallow making basics, this post has you covered! Homemade marshmallows are one of my favorite things to make. They’re fun, the possibilities really are endless, and people are always impressed. 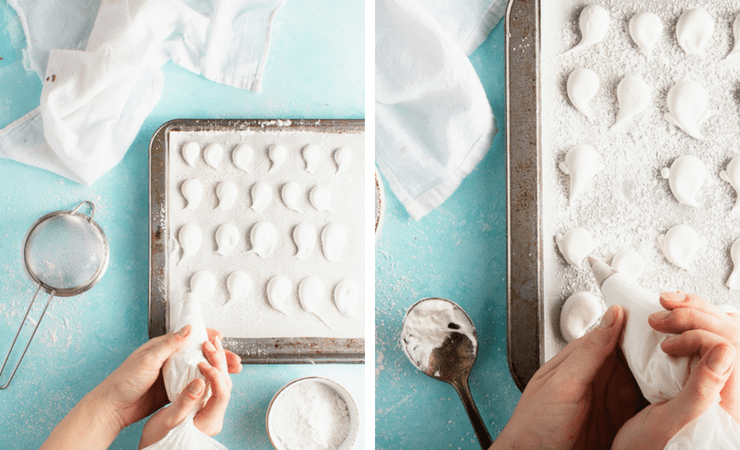 But I’ll let you in on a little secret: hand piped marshmallows like these are super easy to make. No, really. The hardest part is having the patience to wait for them to dry out over night. Second, pipe your marshmallows onto powdered sugar dusted parchment paper. Personally, I like to make ghosts of varying sizes, but you could do all large ghosts if you’re pressed for time and don’t want to make as many. I also added little arms to some of mine. Fourth, coat in powdered sugar and decorate! I added simple faces to them using a black food marker and some pink powdered food coloring. These homemade ghost marshmallows are sure to delight the boys and ghouls in your life this Halloween! 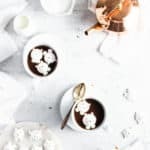 Whether you’re enjoying hot cocoa, a spooky s’more or just looking to learn some marshmallow making basics, this post has you covered! In a small saucepan whisk together the corn syrup, granulated sugar, and ¼ cup water. Bring to a boil and allow to cook until a candy thermometer registers 235F/113C. Slowly add the hot mixture and vanilla extract to the egg whites and whip until light and fluffy (about 5-7 minutes). Cover a couple of baking sheets with parchment paper and dust with sifted powdered sugar. 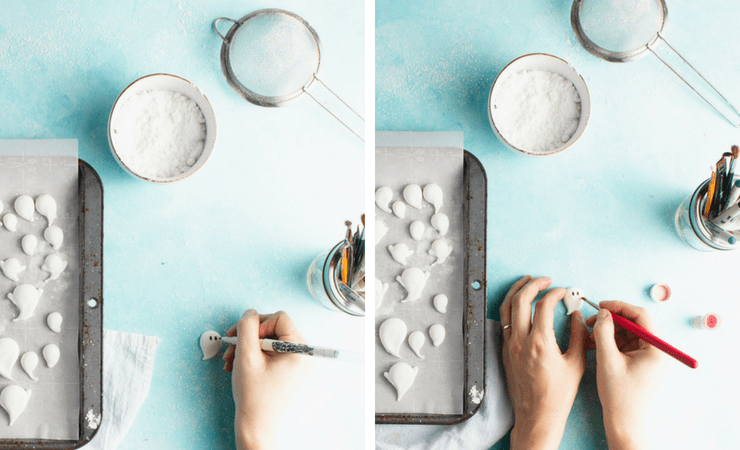 Spoon the marshmallow mixture into a piping bag and clip a small hole in the tip. To pipe the ghosts, pipe a circle of marshmallow. Ease up pressure on the piping bag and draw the marshmallow down and to a side to create a tail. Use the same technique to create arms. Allow your marshmallows to dry overnight. 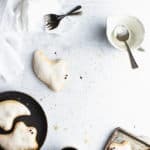 Gently peel the marshmallows from the parchment paper or dust a spatula generously with powdered sugar to gently lift them if they prove difficult. As you remove the marshmallows from the parchment, drag them through a small bowl of powered sugar to make sure they’re thoroughly coated. Dust them off so there’s no excess powdered sugar to clog up your food marker. Using a food marker, add eyes. You can also use powdered pink food coloring to create rosy cheeks. Hand piped marshmallows are all about consistency. You want to whip your marshmallow until light and fluffy but still very malleable. If you pick up a spoonful of your freshly whipped marshmallow and drop it back into the bowl, it should reabsorb in about 20 seconds. If your marshmallow gets too firm to work with, no worries. You can get it back to the right consistency by microwaving it in the microwave using 5 second increments. Grease AND dust your parchment paper with powdered sugar to make getting those marshmallows off a breeze. After drying overnight, the tops of your marshmallows will still be slightly sticky. Roll them in powdered sugar until they’re no longer sticky, and then brush them off well so it doesn’t gum up your food marker. These are so very adorable. I would loveeee these. Oh my goodness! This is ADORABLE! Pinning now so I can try it. My kids will love this! Beyond adorable idea! And so simple. Well done. Oh my gosh, these are the cutest! I am pinning this recipe so I can make these to go in hot chocolate when my niece and nephew come to go trick or treating! These are seriously so adorable!! Pinning this because I have to make these adorable little ghosts! These have got to be…. “a few of my favorite things” …ever!! And I love how easy you make them sound 🙂 Thanks for the tips. I cannot get over how cute these are!!! I’m totally making these for my Halloween cocoa while we walk the kids around the neighborhood. This is by far my favorite Halloween post this year, I absolutely LOVE these and the photos are outstanding. Pinned! Unbelievably adorable!! I wouldn’t even want to eat them. 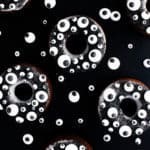 I have got to try making these myself. These are literally the cutest things I ever have seen! These are super cute. I know my grandkids would love a batch of these for their hot chocolate. They would probably just eat them as is!! Oh Claire! These are absolutely adorable! My very favorite part is the sweet, rosy little cheeks – that’s a darling touch! Terrific step-by-step photos and great tips to make sure they come out perfectly, too! Dying!!!! 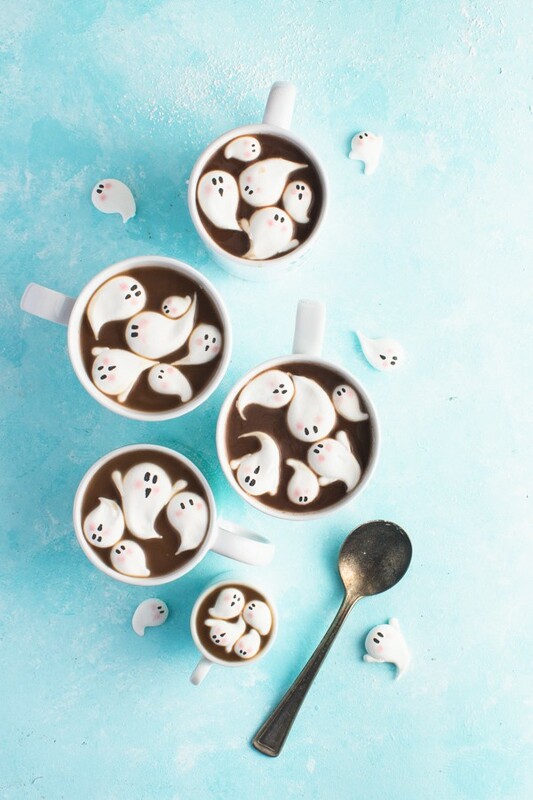 These are the cutest little ghosts I’ve ever seen!!! I love your simple step by step process to make them too!! They are the coolest thing I’ve seen in a long time! These are so incredibly cute – I always prefer “cute spooky” to “creepy spooky,” and these are right on the money! 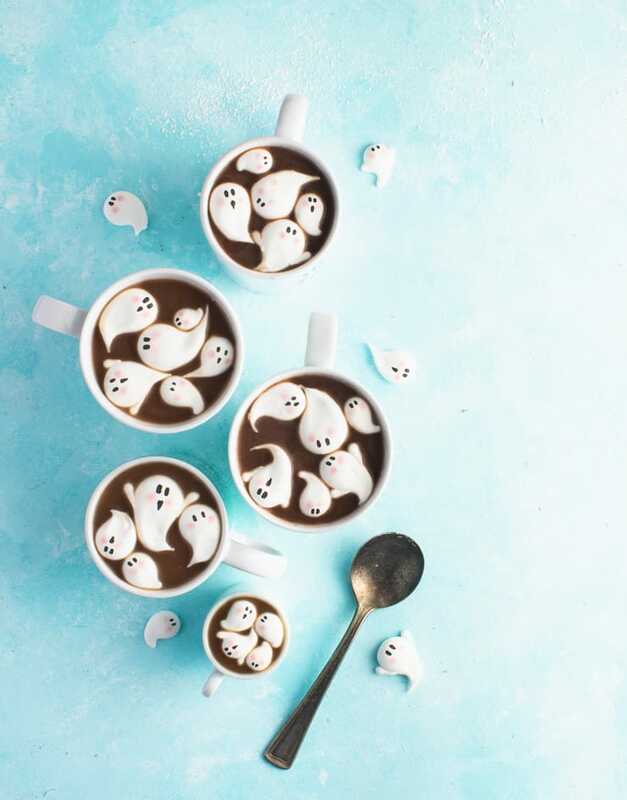 Halloween hot cocoa just got WAY more adorable and exciting! How adorable! I love the little arms… too cute. Perfect in hot chocolate on a chilly evening! This is such a creative Halloween treat! I love them so much. Looks like they are very easy to make too. These are adorable!!! I love “cute” Halloween things so much more than spooky so these are right up my alley. 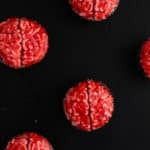 I hope I have time to make them with my 3 year old before Halloween! Oh my goodness! These marshmallow ghosts are just adorable! Pinning to make soon! 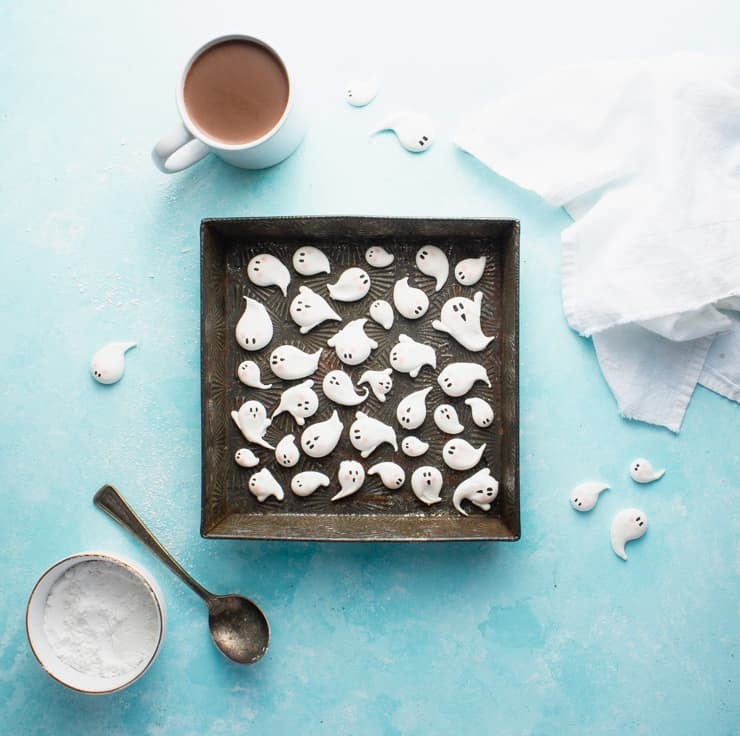 These gorgeous marshmallow ghosts are so perfect for Halloween – the kids would love helping to make and eat them I’m sure! Thanks for a fab recipe!